In my world – as a doctor who treats cancer patients – this concept is unfathomable. My patients’ records are on computers that are wheeled around the medical wards. My research is stored on triple-locked files on a secure server. The nurses get in touch me through my (admittedly) archaic pager. They cannot imagine how I can spend 25 hours “disconnected” and what I could possibly do during that time. When I describe Shabbos to my colleagues at work, they quickly realize that I am in fact not at all disconnected on Shabbos. Rather, the focus of shabbos is to reconnect through disconnecting. We disconnect from our daily work life-lines of phones, computers, tablets, etc and reconnect to our true life-lines of family, friends, and faith. It is a time to remind ourselves that the most important parts of life do not require an artificial connection. But shabbos is more than just reconnecting. One of the best parts of Shabbos is that this so called “disconnection” is the best way to recharge and rejuvinate. As we spend 25 hours reconnecting with our families and friends we find ourselves fully recharged. Every seven days we get this wonderful opportunity to reconnect and recharge through this disconnection. And so I invite you to join us in Cleveland as part of the Shabbos Project to reconnect with Jews worldwide as we make history experiencing shabbos together! 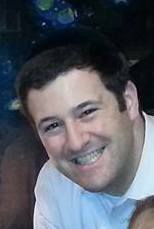 Moshe Ornstein is a hematology/oncology fellow at the Cleveland Clinic. He lives in Beachwood, OH with his wife Adina and three children.